Scientists in Rice University, Houston, the US, have discovered a way to turn low-value soy mash into high value succinic acid used in plastics, textiles, drugs, solvents and food additives, according to its press release. The new succinate process developed by Professor George Bennett, Professor San Kayiu and Chandresh Thakker is making better use of cheap and plentiful feedstock, primarily the indigestible parts of the soybean. This technology is reported recently in the journal Bioresource Technology. Professor Bennett believes they have done that with soybean-derived feedstock as an inexpensive source of the carbon that microorganisms digest to produce the desired chemical via fermentation. 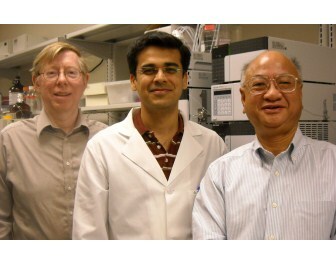 Several years ago, Rice University has already patented a process by Prof Bennett and Prof San for the biobased production of succinic acid that employed genetically modified E coli bacteria to convert glucose into succinic acid. Based on such process, the new microbes are engineered to metabolize a variety of sugars found in soybean meal, which according to Mr Thakker, is achieving in a flask a non-optimized formation of succinate that is close to the theoretical goal – a 1:1 ratio of feedstock (the extracted sugars) to product.